The Best and Hygienic that Delhi has to offer Indian Food. Experience the best that Delhi has to offer by Eating Indian food.... By Delhi Street Food you can imagine a lot about the place, the culture, and lifestyle of the people. We Provide Tourist to Experience the Food ,Shopping and offers you a chance to experience the real India and see the local markets up close. Even you can Buy The Fresh Vegetables, Meat from the Local Markets. 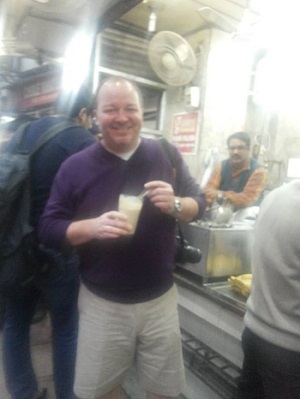 Come and See the Real Life style, Cultures and aromas of Delhi with us. Let us make your Indian experience as simple as Get Set and Go !!!. 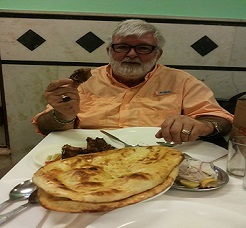 If you want to try the real taste of Indian awesome food then you must visit Delhi, the city of heart of India. Have some mesmerizing experience of food during the tour to Delhi with one and only renowned Foodie Farheen and Noorul at the best price ever. We Have arranged a mind blowing trip, named as Food Tour in Delhi, to provide the best and ever green experience in having Indian food at the best food stop of Delhi. Let us put a glance at the special feature of the cooking class. Summary: India is the magnificent country for its cultural aspect and religious view. Indian food is rich in flavour and taste by the all perspective. Street Food of Delhi not only signifies the various flavours but it also gives the idea of love and unity worldwide.